Even those who don't want to have babies can't deny that these little humans have their moments; maybe that's why the variety show Return of Superman was created. It's been running for five years now and has featured the cutest children of Korean celebs. 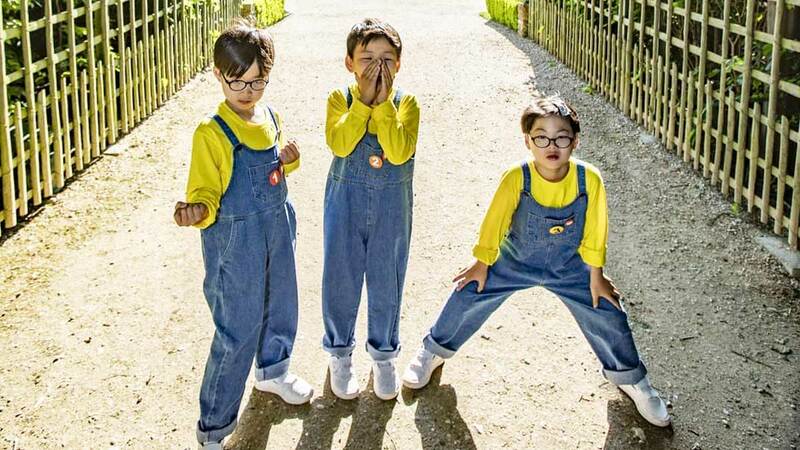 The most famous kids, though, are hands down the Song triplets: Daehan, Manse, and Minguk. They appeared on the show from 2014 to 2016. Their dad, Song Il Gook starred in the K-drama Jumong. Are you curious about the triplets or miss their RoS days? Here are their cutest moments! What's cuter than watching them stuff their faces with their favorite food, meat? And Minguk, the prince of aegyo. When one of them gets time alone, they’re almost angelic. But two usually means trouble and three means either total harmony or unstoppable chaos! Even if they're just sitting comfortably in their triplet stroller, Daehan, Manse, and Minguk keep heads turning. But they’re so much more adorable when they’re given tasks. The trio proved they could successfully shop on their own. Of course, they're even more precious when they’re in costume! Their everyday quarrels and mini struggles make each episode super amusing! One time, they went to a traditional school and Minguk couldn’t help but paint the floor instead of his paper. Guess what happened? But nothing beats their "aww" moments! ...And don't their giggles in this clip just make your heart melt? Binge-watch episodes of the Return of Superman featuring the Song triplets and other cute Korean babies on Viu or the YouTube channel of KBS World TV! You can also follow Song Il Gook on Instagram for updates and throwbacks.